In a strange feat of cross-over madness, the BBC will announce the next Doctor Who companion around 6 pm Saturday the 23rd of April. I don’t know who it is, and it won’t be the woman pictured. 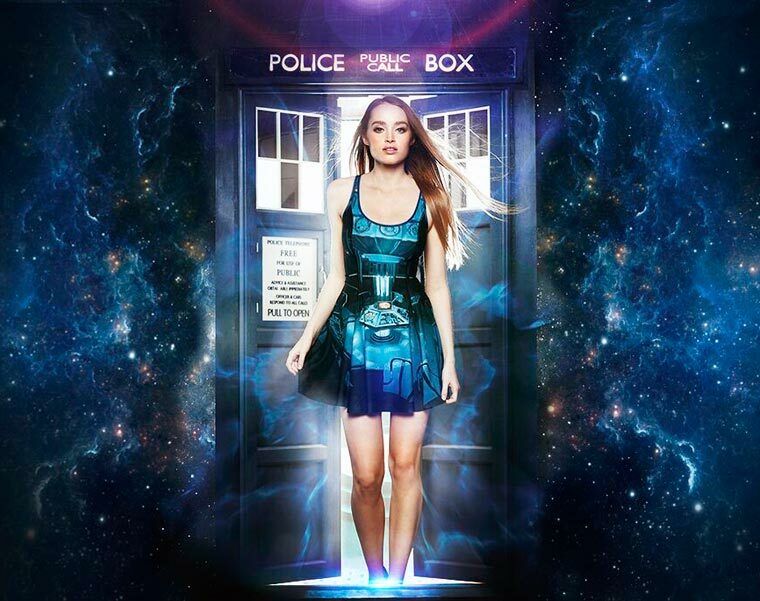 She is from something called Black Milk and an article on a range of Doctor Who outfits designed to thrill. As to the announcement, it is during half-time in the FA Cup quarter-final. Does this work? Is Peter Capaldi at Wembley? I like football and may even be watching, but do I want a major Doctor Who announcement mid-way? Anyhow, expect lots of speculation and I told you so articles this weekend. See? Vague enough so I can be right! More later this weekend.